Germany’s Transport Ministry has ordered the recall of 238,000 Mercedes-Benz vehicles in Germany after 774,000 of the cars across Europe were found to contain unauthorized software defeat devices. 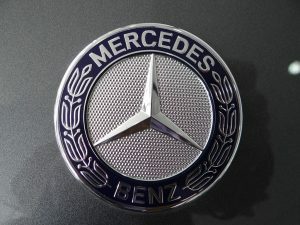 Daimler, makers of Mercedes-Benz, is being ordered by the German government to recall the vehicles after a series of meetings failed to explain why five purported “illegal switch-off devices” were found in the Benz’s diesel engines. The alleged emissions defeat devices were discovered by Kraftfahrt-Bundesamt (KBA), Germany’s Federal Motor Transport Authority. The KBA believes the devices may be present in most of Daimler’s new Euro 6 diesel car fleet. That would mean that there would be around 1 million vehicles affected. The illegal devices are designed to conceal high levels of harmful emissions from emissions testing. The devices help vehicles kept to legal emissions limits for harmful substances during lab tests. The vehicles then exceed the limits by as much as 40 times in on-road driving. According to the ministry, Daimler has pledged to work on removing the software and to cooperating with authorities. Transport Minister Andreas Scheuer said in a statement, “Daimler says the applications in the motor control software the federal government has found fault with will be removed at the greatest possible speed and in cooperative transparency with the authorities.” Germany can only order the recall of vehicles within its own borders. Daimler is not the first German automaker to face problems over the use of devices meant to defeat diesel emissions tests. In 2015, Volkswagen was found to have outfitted similar devices on millions of vehicles worldwide. The company later admitted to deliberately cheating on emissions tests. The fallout from the scandal has cost Volkswagen more than $30 billion in fines and related costs, along with arrests and dozens of class-action lawsuits.